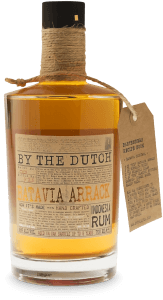 By the Dutch Batavia Arrack is a distillate based on sugar-cane molasses, produced exclusively on the island of Java, Indonesia, dated back to the 17th century. 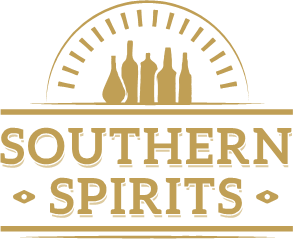 It’s comprised of a very specific range of Pot still distillates originating from the East Indies, produced on the Island of Java, Indonesia. It’s the “rum of Indonesia”. The fermentation process includes the addition of local fermented (red) rice; it is this, which sets it apart from Rum, although the base material is still sugar cane. Distillation of our Batavia Arrack is carried out using very traditional Pot stills, adopting ancient Chinese distillers’ methods. Our Master Blender created a excellent product, aged on oak barrels up to 8 years, causing fantastic rich and deep flavors, lingering on the palate. Batavia was the name of the capital city of the Dutch East Indies, and corresponds to the present day city of Jakarta. The establishment of Batavia (Java Island) at the site of the razed city of Jayakarta by the Dutch in 1619 led to the Dutch colony that became modern Indonesia following World War II. Batavia became the center of the Dutch East India Company’s trading network in Asia. The trade in Batavia arrack was entirely in hands of the Dutch VOC. Virtually all arrack exported to Europe arrived in Amsterdam or Rotterdam in wooden barrels or buts (563 liters). This would then be matured and blended to create an end product of consistent quality and flavor.